Insurance penetration in India was just 3.44% of its GDP in FY 2015-16. A majority of Indians still do not have adequate Life Insurance coverage or are under coveraged. Indian Life Insurance industry consist of 24 Companies. LIC is the sole public sector company. Let's talk about life insurance — it's never a "fun" conversation to have. But when you sit down with an expert who has your best interest in mind, you may find that life insurance is something you not only need, but truly want to protect your family, dependents, business and legacy. Sudden Death — in an accident, by unexpected illness or even of natural causes — can happen at any time. Life insurance helps your loved ones pay the mortgage, bills, even college costs, after you're gone. It also provides tax-free cash to pay estate and death duties. Nothing can replace you in their hearts, but planning ahead with life insurance can make things easier for those you leave behind. In your life, you work hard to make sure those you love — spouse, partner, children, family members — are taken care of. It's just as important to consider providing financial support for the future living costs of surviving dependents. After all, they will have to go on without you. Make sure they're protected, too. The Life Insurance industry of India consist of 24 Companies, among which, Life Insurance Corporation (LIC) is the sole public sector company. 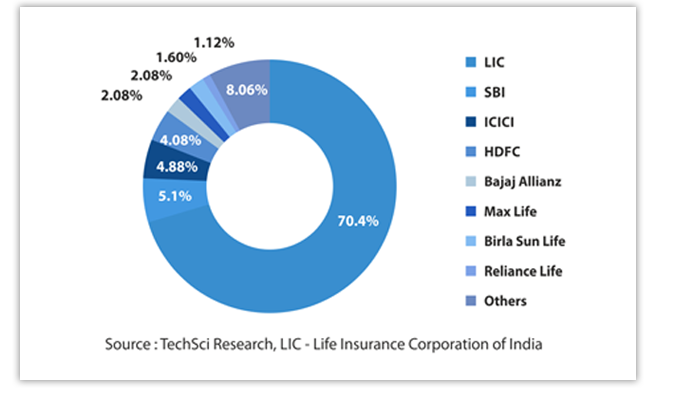 The Top 3 Life Insurance Companies in India are LIC, ICICI Pru and SBI Life*. Help you choose your protection need. Compare between products & choose the best plan.